Our butterfly charms take inspiration from the smaller creatures of the islands. 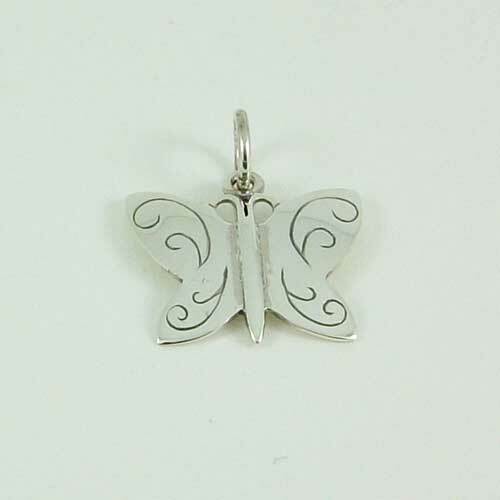 This charm features a delicate scroll design on the butterfly's wings. Designed in 2013 and handmade in our workshop in South Uist.